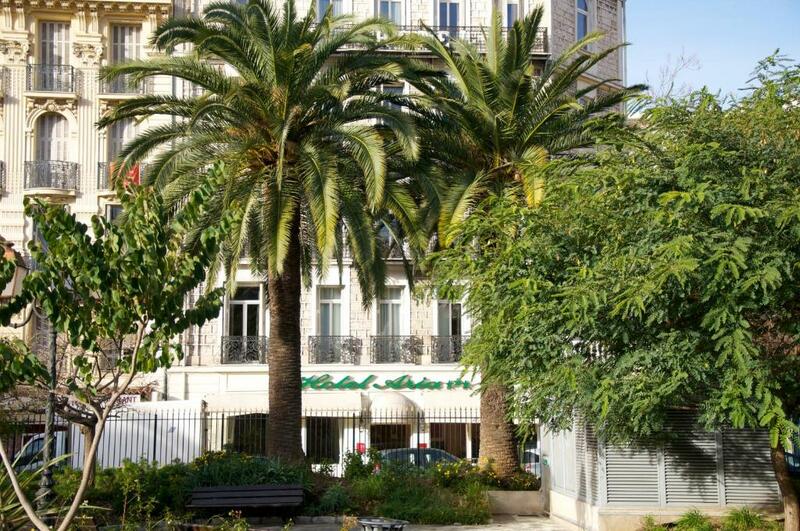 Hotel Aria is in central Nice in front of Mozart Square, just under half a mile from the beach and a quarter mile from Nice Train Station. It has comfortable accommodations about half a mile from the historic quarter. The air-conditioned rooms and suites and have a TV, minibar, Wi-Fi access and private bathrooms. A buffet breakfast is served daily until 10 am. Hotel Aria is just 130 ft from the Mozart parking station.